Because Bermuda grass is in fact a perennial form of grass, it does not typically require re-seeding. It sports a richly green color, and features a fine to medium texture. It does exceedingly well in yards. Typically, Bermuda grass is the one selected for golf fairways or putting greens around the South of the United States. Ultimately, early in the grass-growing season, you should focus on achieving a cutting height of only one inch. Once the summer begins to finish, raise the blade height on up to two inches. 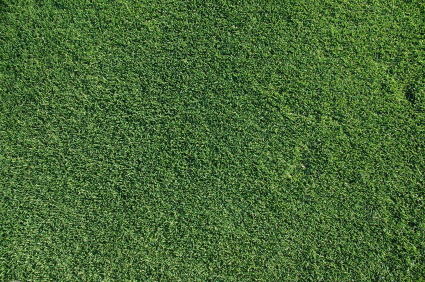 In order not to stress-out Bermuda grass, do not ever take off more than a third of the total height of the blades of grass, or the lawn will become stressed. great website and very helpful. Do you have anything on how to be sure what type of grass one has? I’m pretty sure it’s bermuda. The only other disadvantage I see is flower beds. Bermuda grows like weeds in flower gardens and you can’t get rid of it. How is St Augustine grass removed from a Bermuda lawn? If you don’t have too much pull it by hand. My neighbor has St Augustine so I have a 1×6 deck board buried 2/3rds deep along the lot line. It works good but it took me two years to pull the original invaders. If you have a lot I would try mowing very low (1 inch). How to keep the bermuda grass green, and thick? What some good fertilize to use? Look forward to any additional info. Learn what it takes to care for this type of grass ( Bermuda ). Saying a reel mower will “never” scalp someone’s lawn is simply not true. I had a friend reel mow for me and it actually scalped it worse than my push mower. Good read and thanks for the info. My bermuda lawn is 13 yrs old, never aerated. It is so thick that I must mow 3 inches to even get my lawnmower thru it. A Professional Lawn Care Service advised that I need iron and phosphates in my lawn (?) My question, is there anything that I should do to prepare it for the winter months and after aerating in the spring, should I then apply a certain type of fertilizer??????? In winter you apply only urea..and amonium sulphate.Ammoium sulphate will add green color in it. I just had my lawn aerated in september,should I seed and put sand this time of year. This is great information that is clearly broken down for you to understand and be able to follow step by step instructions. I am buying my first home and I’m doing a good job (so I’m told) at keeping my yard looking good. I wnat it to look even better and this information I think will help me for the up coming year. Thanks a lot!!! How do you remove or get rid of Ivy from growing on Bermuda lawns? I have spots of Ivy that grow in different areas of my lawn. Look up Mascot Reel Lawn mowers they make a Reel mower specifically for Bermuda grass. The info you revieved is wrong. Check out Mascot. You can see riding mower tire ruts in my bermuda. The grass there grows but not at the same rate as the other part of the grass. I have staggered my cutting path but does not seem to encourage the shorter grass to catch up. The damaged grass seems matted. Not sure what to do. I do have a lawn treatment service but I cut the grass with a John Deere X-300. How do I get rid off crabgrass and weeds on my new Bermuda grass ? I spayed crabgrass control + put compost on it. is that right way to do ? What kind of weed & feed fertilizer should I use for Bermuda grass in Panama City Beach, Florida? I purchased Scotts Turf Builder, Plus 2, with weed control. The sales person at Loews said this should work with Bermuda! I have a new Bermuda lawn 2000 Sq. Ft. (Sod). I have been watering twice a day for a week now. How much more H2O will I need to apply? I wish to cut the grass 3in. tall. Can I get away with this height? How often should the lawn be fertilized and your suggestion as to what kind. I have been paying a company for 13 years to fertilize and do weed control. Had my soil tested and there are virtually no nutrients. The Bermuda is turning to seed in spite of proper mowing and watering it will not green up and does not look healthy. Need help. I recently bought a home in Sarasota, FL. I have noticed in alot of areas in my lawn white sandy areas. Should I be adding some sort of top dressing in these areas? If so, what do you recommend? What is the planting season for bermuda in upstate South Carolina? Thanks in advance. I’m using Scotts seed. John Bermuda is a summer grass, you want to seed it in May or June, it grows best during the summer months. Keep your seeds wet until they germinate. I use 10-10-10 twice a year – late spring, and just before 1st day of summer. It makes the bermuda healthy enough, and growing close enough to choke out any remaining weeds. Plus, I like the idea of getting rid of the weeds by making the grass healthier. The 10-10-10 fertilizer trick I learned from my neighbor, where you could eat off the ground, her lawn is so pristine. Home Depot and get Scott’s fungus control, it will clear these small brown spots you are seeing within your lawn. @ Linda Jergens – you are letting your Bermuda grow too high. The bermuda grass will only get green where sunlight can penetrate. If you let the grass grow too long the stems of the grass will not get sunlight and turn brown so when you cut it (cut off the green) it will expose the underside that is not getting sunlight. Simple solution cut your lawn shorter and you will not see the brown spots. Linda ! Linda! Listen Linda! U have to mow the lawn frequently, every 3 or 4 days so that the sun will hit the stem of the grass. Keep Bermuda as low as 1 or 1-1/2 inches high and don’t cut more the 1/3 of the grass in any one mowing. Okay?? Hi Linda, they are simply cutting too much of the leaf off, actually cutting into the stem of the grass, they either need to mow more often ot raise the mower slightly. how can I make my lawn thicker? I have put more seeds down but it didn’t work. Can you help me? Can you mix seeds with bermuda to make it look thicker. A new area was planted in my lawn. Put down seed, lime,and starter fertilizer. Starting to turn brown now that I am not watering as much. What now? I just plant the bermuda grass last july 16 here in arizona. I just want to know how long it will take the seeds will grow, i am watering twice a day. Please help. I pay loan care $60.00 a month and my grass looks really bad. The grass length is six to eight inches long if you lift it up. It looks like greenish blue feathers on the top 1/2 inch and brown the rest of the way to the ground. I have watered several times a week since June and they put down the right? ? fertilizer.? I am disgusted! When they mow it looks like it just laid it down. Where he turns the mower around it gets beat up. What can I do on my own?